For carpet, locate the source of the odor (a black light or moisture probe may help identify urine deposits) and treat after vacuuming loose dirt and debris. Mix concentrate with water at a rate of 1:16 (8 oz per gallon) and saturate 50% beyond the actual “spot” area. 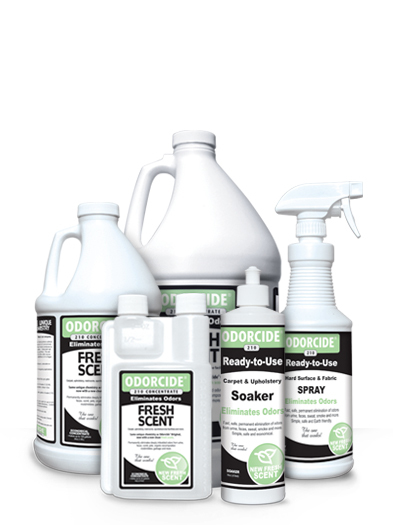 For general carpet deodorizing, add Odorcide® directly to the cleaning extraction system ensuring it penetrates to the odor source. 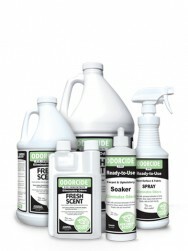 Increase penetration by using a roller, hand manipulation or by “walking” the product in.